Peter Apostolou might not have been the biggest name in the room but he certainly showed the most composure as he built a big stack early and never looked back in taking out the PokerMedia Australia $1100 buy-in No Limit Hold’em Six-handed Special Event as part of the 2013 Sydney Poker Championships at The Star yesterday. A regular in the Star Poker room, Apostolou survived a marathon 16-hour day as the field played all the way down to the winner just after 4.30am this morning. Apostolou eventually building a handy chip lead three-handed before finally finishing off Jarred Graham and Fred Alam just as the sun was threatening to rise on a new day! The most remarkable hand of the tournament occurred with four players remaining. 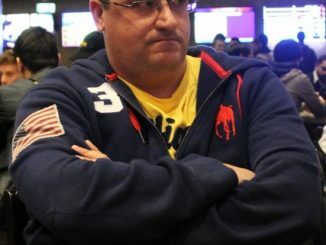 Luke Spano was down to just 100,000 in chips when he shipped it with 2-2 and was called by Peter Apostolou with A-6. As Ben Blaschke reported for PMA, “the flop was a huge one for Spano as it came 2-7-7. Apostolou was just about drawing dead until a third 7 arrived on the turn, giving him outs to the bigger full house … or, as fate would have it, with the bigger kicker because incredibly the case 7 landed on the river, sending the entire table into raptures over what they had just witnessed”. Apostolou outlasted a field of 99 runners today (the biggest in the history of the PMA Special Event at The Star) and the new 6-max format certainly brought out the quality. Among today’s field were the likes of Grant Levy, Aaron Benton, Michael Kanaan, Victor Teng, Andy Lee, Tam Truong and Martin Kozlov. 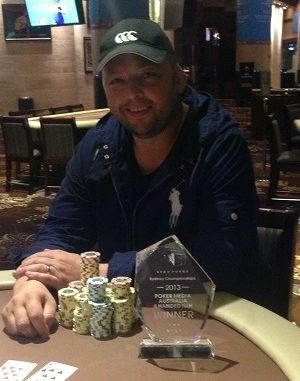 None of them would make the money, however among the 12 players to cash were former Sydney Champs Main Event winner Errolyn Strang and Joel Cohen, who final tabled the Star Summer Series Main Event last December. But it was Apostolou smiling brightest by the end of the day. Congratulations to Peter on a brilliant victory and we look forward to seeing him again through the week as we near the main event. With that in mind, join us back here at PokerMedia Australia on Thursday night as we bring you all the live action from the opening Day 1 flight of this year’s Sydney Championships Main Event.